With a passionate voice and spirit, actress Gabrielle Union has established herself at a young age. “The Birth of the Nation” actress has now demonstrated her confident attitude and perceptions on paper in her debut book, We’re Going to Need More Wine. Anderson’s Bookshops are delighted to present Union at a special book event on Thursday, October 26 at 7 pm at the Hilton Lisle/Naperville, located at 3003 Corporate West Dr, in Lisle. Union will share her book with the audience, participate in a conversation with guest moderator, author Christa Desir and Q and A session. This featured program will be followed by a booksigning for ticketholders. 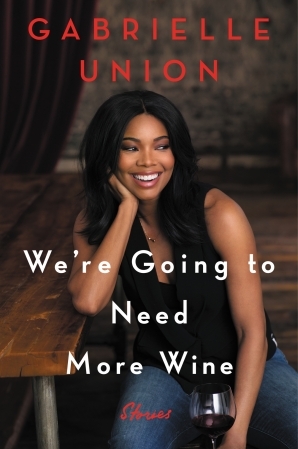 Gabrielle Union is an impassioned young actress and now an author of a collection of personal essays, We’re Going to Need More Wine. During a college internship, she was discovered as an aspiring model and soon after was cast in “Saved by the Bell” on TV. She also appeared in the teen films “She’s All That” and “10 Things I Hate About You.” Her earned a role on the short-lived medical drama, “City of Angels“ and later in the film, “The Birth of a Nation” (2016). She is married to NBA star, Dwayne Wade.